This case has been provided by an orthopaedic colleague from Santiago, Chile, who is studying at the University at the moment. The series of pdf pages reads from p5 – p1 so scroll down to the end and then read the progression of this injury in reverse page order. 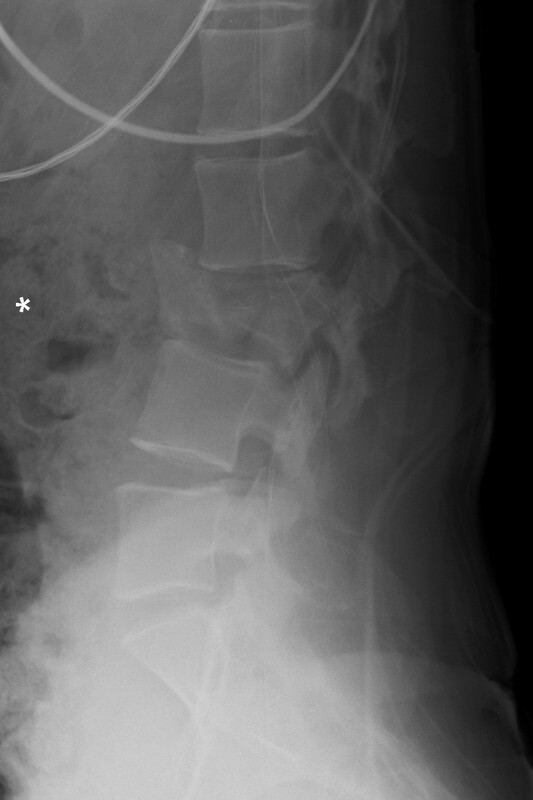 This x-ray shows a fracture of a vertebra following a high velocity road traffic accident. The lateral view nearby shows the extent of the damage to the individual bone. This is a good case to think about the management of major trauma in general and the risks, management and complications of this serious injury. Discussion on management at the end of week2 on DundeeBones. This is the Xray of the left shoulder of a 42 year man following a fall from a height onto his outstretched hand. He has a painful, immobile shoulder with loss of the normal contour of deltoid. 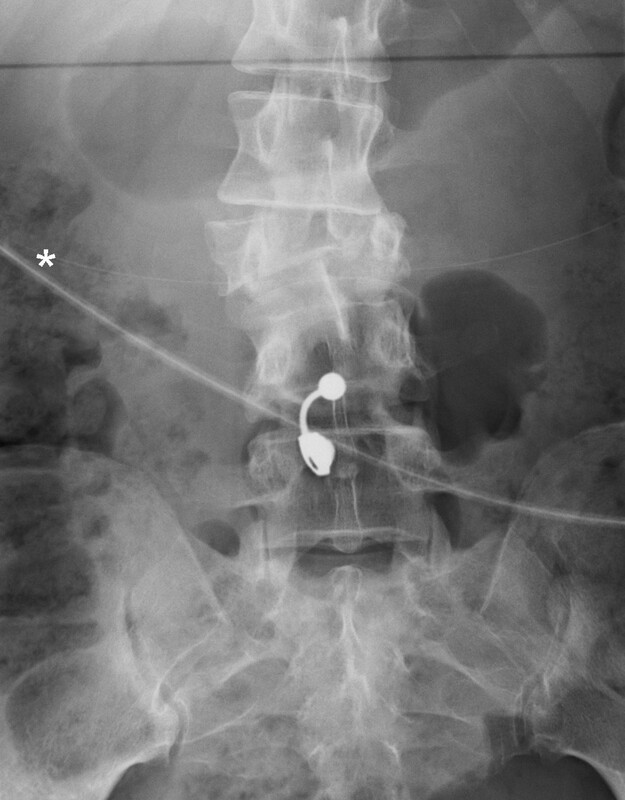 What do you think the Xray shows? (there are two abnormalities to notice here). Remembering Prof Parkin’s lecture today it would be important to test his sensation somewhere. After emergency management his shoulder now looks like this. Can you say how he as been treated and what might go wrong with his shoulder during the next few days or weeks? This 70 year old man is complaining of shoulder pain when he moves his arm. There is no history of trauma and no limitation of shoulder movement. It’s just painful to do! Significantly on examination there is no weakness of rotator cuff function and no painful arc on abduction. 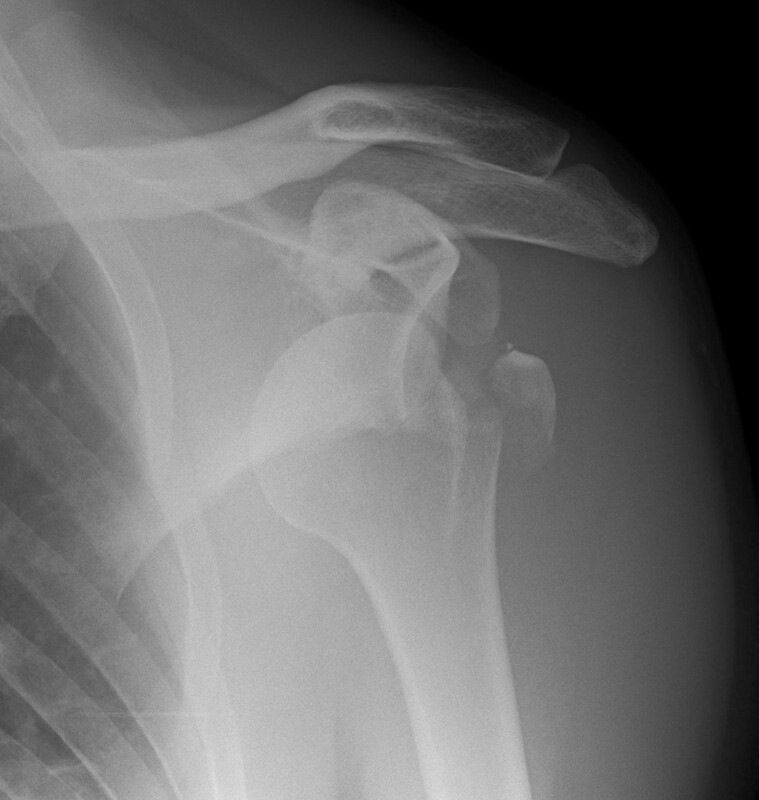 This pain Xray shows a normal gleno-humeral joint. 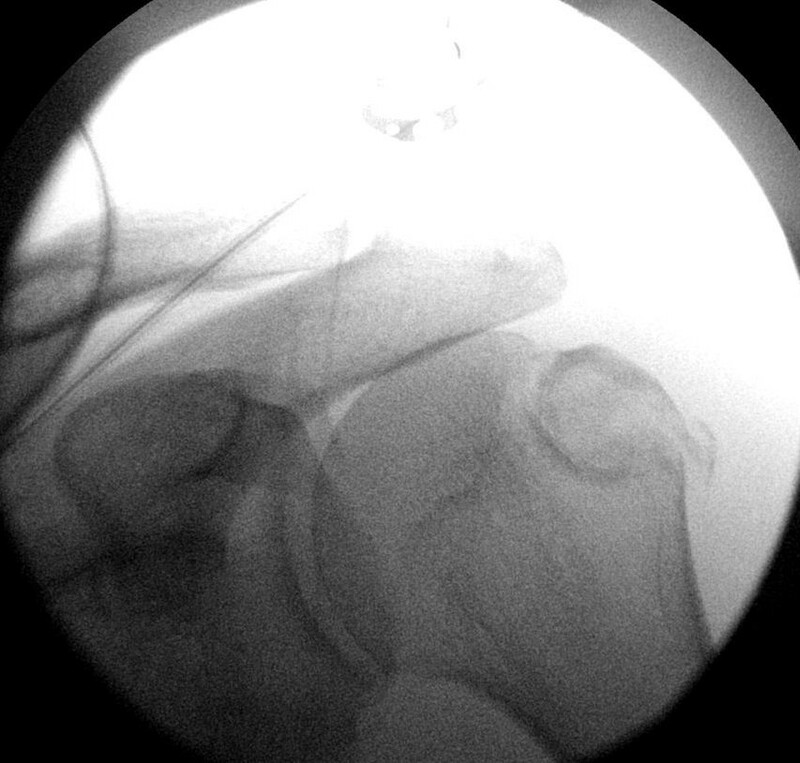 There is some superior migration of the humerus suggesting rotator cuff thinning. The AC joint shows some features of osteoarthritis. Can you say which of these features you can identify on the X-ray? 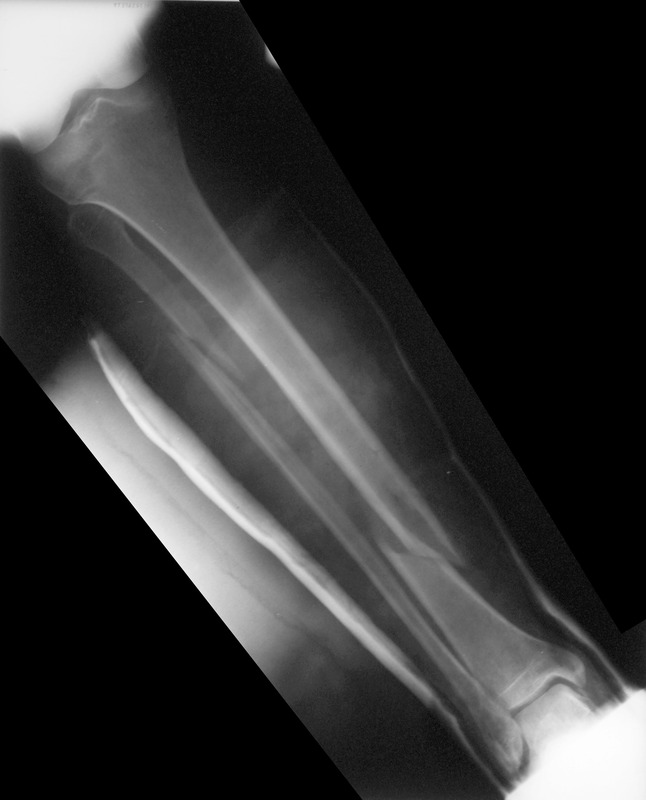 Have a look at this X-ray of the lower leg and compare it with the other X-ray of a tibia and fibula earlier in DundeeBones. What is different about this one? 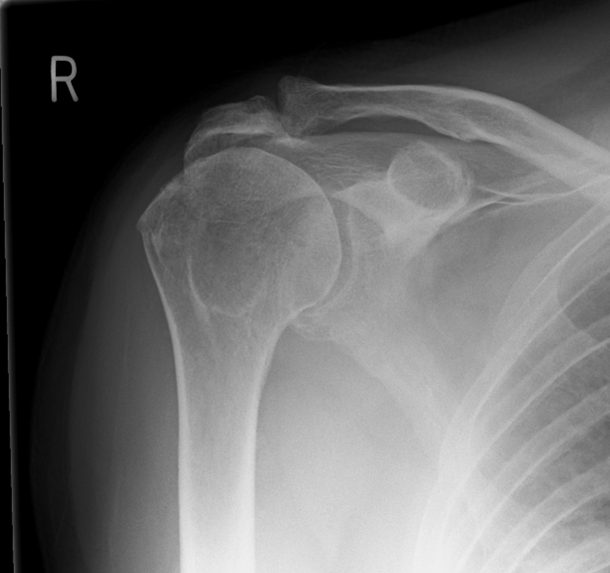 Can you find the fractures? Where abouts are they in each bone? Can you describe the fracture pattern? What else is wrong / unusual about the leg shown on this X-ray? What do you think this leg would look like if you were seeing it in A&E? This is an antero-posterior (AP) view of the Right tibia and fibula showing both the knee and ankle joints. Can you see the fracture? Which bones are involved? To describe the fracture site divide the bone in to thirds and decide which third, proximal, mid or distal, the fracure is in. 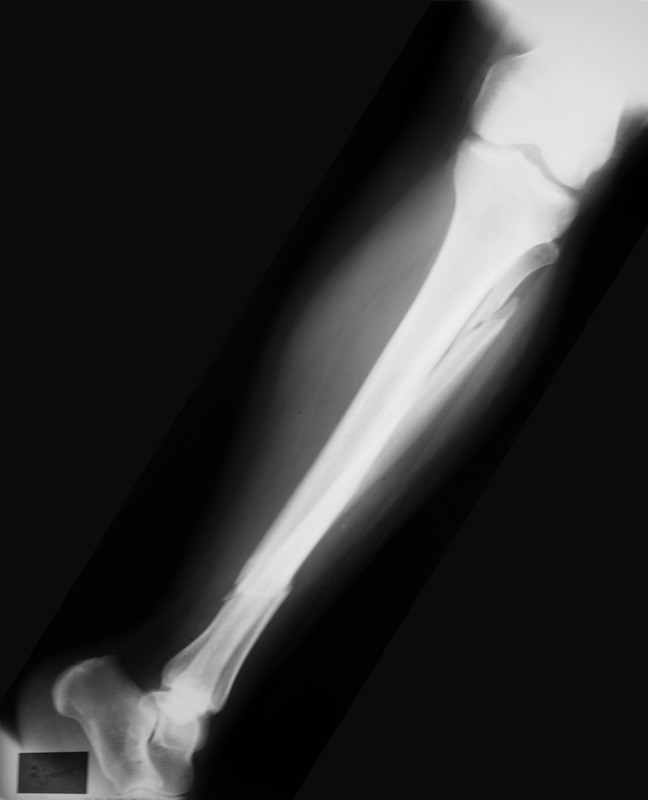 How would you describe the appearance of the fracture? Does it look transverse, oblique, spiral or comminnuted?